← Finally! Pilot Presence meets double — in the flesh! 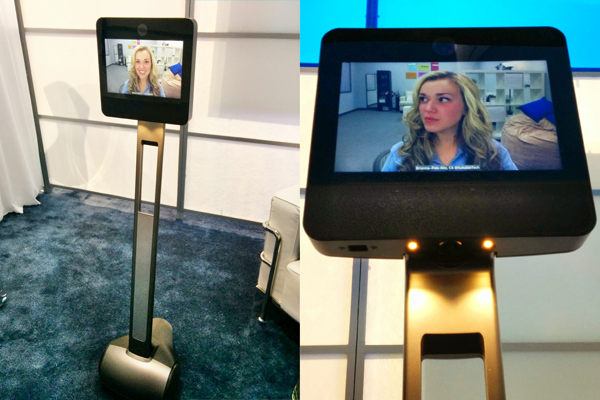 Last week, at CES, we stopped by a number of the remote presence booths and caught up with the teams at Kubi and Double, but the surprise of the trip included a slight shuttling into Suitable’s private room at their booth. After a brief delay, Scott Hassan pulled back a white sheet with a flourish and there stood three new devices for demonstration. And, in a move that is sure to annoy other players in the space, Suitable is offering the regularly priced $1995 Beam+ for a pre-order reduced price of $995 for the first 1000 pre-orders. Suitable is preparing to ship the pre-orders in the third quarter of 2014, but rumors have it that orders will roll as soon as manufacturing gets going. Now we wait to see how the enthusiasts react to the Beam+. See the Suitable press release after the jump. Today, Suitable Technologies announces Beam+, a home product that makes it possible to see, visit with, check in on and stay close to the people you care about – no matter where you are in the world. Coupling video and audio with the freedom to move about a space, Beam+ doesn’t restrict you to a small screen on a device, or the confines of a PC on a desk, but instead gives you a way to speak, see and maneuver through the house so you can interact with your loved ones in a natural way. You can visit people instantly, in real time, at any time – no travel time. Your loved ones don’t have to learn how to use Beam+. Pilot it from wherever you are with your computer and interact normally. You have the freedom to control where you go with Beam+ and to experience what’s important – you’re not trapped in one location or stuck watching the world from one point of view. Beam+ is ideal for those who are away from home or live far away from their friends and family. Simply set up Beam+ at home, or in your desired location and beam in from anywhere to instantly see, hear and connect with those you care about. 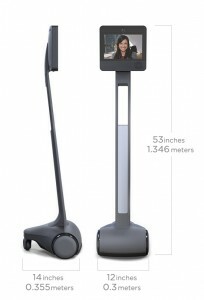 You can find more information about the technology of Beam+ at https://www.suitabletech.com/beam-plus/. The first thousand Beam+ systems are available to pre-order for just $995 – after this the full retail price will be $1,995. Beam+ will ship to U.S. addresses beginning in the summer of 2014. 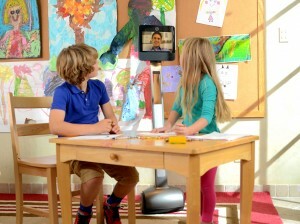 Pre-order now at https://www.suitabletech.com/pre-order/. Suitable Technologies creates technology that provides a more enriching way to connect with people. Whether the goal is to reduce the high cost of business travel, or to stay in better touch with friends and family, Suitable Technologies builds products to let you be where you need to be regardless of where you are. Suitable Technologies designs and manufactures at the company’s headquarters in Palo Alto, CA. Other communication tools trap you in a box. Suitable empowers you to explore and interact. Be there. Beam there. This entry was posted in Beam, Remote Presence News, Remote Presence Systems, RPS Companies, Suitable Technologies and tagged Beam, Remote Presence Device, remote presence systems, Suitable Tech. Bookmark the permalink.